Yesterday marked the release of my first set of positional rankings on the offensive side of the ball and I got a lot of good interaction and feedback from my list. 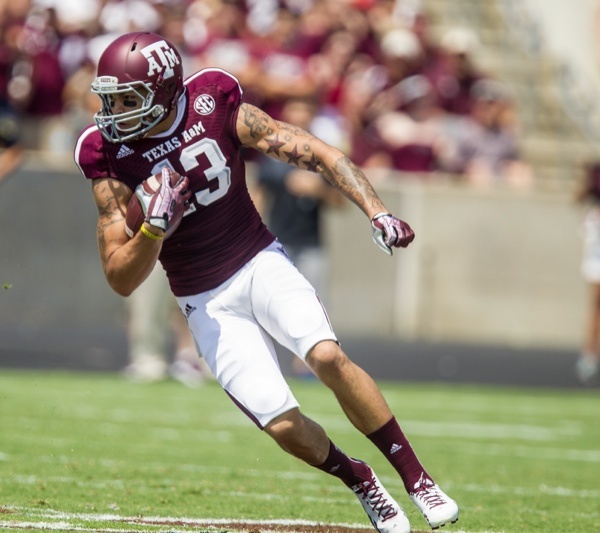 However, the predominant question I got had to do with Texas A&M Wide Receiver Mike Evans. Where was he? How could I possibly have at least 5 guys rated higher than him? What gives? It is an answer that deserves much more than a few tweets, because the answer itself is complicated. With that said, there is one, simple phrase that can summarize my thoughts on Evans: "Assume you're the rule, NOT the exception." The big comparison I've heard from draftniks in regard to Mike Evans is former Florida State stud and reigning Super Bowl champion Anquan Boldin. Why? Because Boldin ran a slow 40 time (and likely a time similar to what Evans will run) but still found success? The other comparison I hear is former Charger and current Buccaneer Vincent Jackson. Again, why? Because they're both 6'5? The fact of the matter is, these guys are the exception, not the rule. What is the rule? In Jackson's case, it is that a guy of his size can't be a down field, home run threat. It Boldin's case, it is that a guy who runs so slow can't create separation. Vincent Jackson is 6'5, 240 pounds. He is not supposed to be able to run a 4.45, but he does. The closest comparison to Evans of that group is Brandon Marshall, but Marshall wins his one on ones beyond simply go routes...there's actually some carry over to his success that you'll find in Anquan Boldin. Anquan Boldin isn't supposed to win individual match ups on the perimeter when only running a 4.7, but he does. This is where the slope gets slippery, people want to assume that Mike Evans is going to be an exception to the rule as well. Here are my issues with Mike Evans. He's a big guy, at 6'5...but you have to look at how he is winning his individual match ups. A lot of his yardage and big plays come from getting a free run off the line of scrimmage and simply running straight past his defender. Does that mean Mike Evans has great long speed? If you're answer is yes, I implore you to go back and check again. Mike Evans runs what a lot of scouts estimate to be between a 4.55-4.60 40 yard dash. This isn't a guy that's going to torch NFL corners like he has in college. So now the discussion shifts over to Boldin. How does a guy like Anquan Boldin win despite running such a slow time? Well, because Anquan Boldin has a fluidity about him. He can accelerate and decelerate throughout his routes to create separation out of his breaks. It's a level of athleticism that goes beyond just being able to run fast in a straight line. Boldin runs outstanding routes. Mike Evans runs slants, gos and comebacks. That's it. And when he's running them, he doesn't sell the route to be anything else. He doesn't plant his foot, sink his hips while throttling down and snap back on his comeback routes. He closes the cushion on his corner and then simply turns around and runs back to the sideline. We're talking about a player that is very limited in the route running aspect of his game. Throughout my evaluations, there are 2 ways for a WR to really hurt himself: questionable hands and route running. If you can't run clean routes, you can't create separation. If you can't create separation, you can't win individual match ups consistently. Evans' stock is significantly hurt by his limited route running and lack of fluidity to create separation. And so now you have a Wide Receiver who has a HUGE frame, but lacks fluidity, lacks long end speed and doesn't run clean routes. Where is there a comparison there to Vincent Jackson? It isn't there. Where is the comparison to Anquan Boldin? It isn't there. Those guys are exceptions to the rule based on physical talents that permit them to win one on one. Mike Evans does not have either the long end speed or the natural fluidity and route running to be an exception to the rule. There are things that Evans DOES do well. He has nice ball skills when high pointing footballs. It goes back to his basketball past. He will go up and use his size to take balls away from defenders. He has great strength for a WR. But these aren't tools that can mask a lack of separation, which will be an issue for Evans at the next level. You don't have to look any further than Vikings rookie WR Cordarelle Patterson. Patterson is a much, much more dynamic and explosive athlete than Mike Evans is. Yet Patterson cannot see the field consistently because of how raw he is running routes. He only has 150 snaps and 26 targets in 9 games. 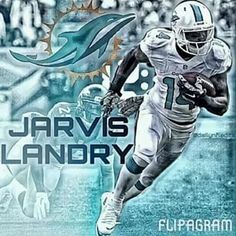 He's got 18 catches for 168 yards (9.3 ypc) and just 88 YAC. 1 catch longer than 20 yards. Patterson is a guy who has a much greater athletic tool set as compared to Evans, but because of the limitations running routes, he can't produce. Yes, in the long haul as Patterson develops, he stands a chance to offer a great deal of production in the passing game to the Vikings. But let's transfer this over to Evans. He's no where near as fast. He has no where near the change of direction ability. So you have a guy as athletic as Patterson who can't produce because of a lack of refinement in the route running department, how do you think a guy with a much more limited tool set is going to produce? Even after Evans develops more routes in his tree, I don't see the kind of natural fluidity to create separation and his lack of long end speed means he has nothing to mask those missing skills. If you cannot run clean routes, you cannot win one on one. Mike Evans is NOT the exception, he's a continuation of the rule. So what do I see Mike Evans giving a team? He's certainly a red zone threat. With so many defenders in such a tight window, the premium for long end speed is essentially negated. It's all about catching radius, which is why you see so many big bodied tight ends having success inside the 20. I think Evans can contribute, and contribute productively, as a red zone target in the seam. He's fast enough to give linebackers fits and tall enough to still be a match up nightmare in the middle for safeties. But I don't think you take a red zone target and a seam threat in the 1st round as a Wide Receiver. 1st round prospects are supposed to be day 1 starters. That isn't WR Mike Evans. I've evaluated Mike Evans at a 6.84 talent score, which falls into the 4th round range. I think it's fair. He's not an immediate perimeter starter. He's a role player in my eyes. His development could increase his role in an offense in years to come, but I don't see a perimeter player who can win and dominate like a lot of people want to see. If you cannot create separation, you cannot win. Mike Evans is the rule, NOT the exception. These are not your daddy's linebackers. UCLA's Anthony Barr is a converted running back playing just his second season at linebacker and reportedly ran a 4.46 40 last spring at 6'4, 245 pounds. Buffalo's Khalil Mack cuts underneath offensive tackles with lateral quickness that would make a running back proud and is within reach of the NCAA career record for forced fumbles (1 behind at 13) and for tackles for loss (7.5 behind at 67.5). These are two very fast, flexible, powerful players, physical specimens who carry solid NFL ready builds with incredible speed...but one of these players is better than the other. Barr's sack of Matt Barkley in 2012 was just one illustration of his powerful hitting ability. Anthony Barr as a prospect is all about having an elite skill set. He has one of the best 1st steps in the class, he comes off the ball with great speed. Barr has very fluid hips and for being new to the defensive side of the football, he flows very well in his zone coverage drops. He has a good feel for routes being run and can tighten sideline throws when he's assigned the flat. Barr is a vicious hitter, you don't have to look any further than the crushing blow he dealt to USC QB Matt Barkley last season to appreciate the power he is able to generate. Despite being raw, Barr also does a wonderful job with the technical side of run support. When playing in space, you can see Barr stays patient to read the play, he keeps his shoulders square to the line of scrimmage, and then he reacts. He does a good job of placing his hands on a would be blocker and maintaining separation. Barr is a natural athlete and his physical gifts are on full display when he steps out onto the field. Khalil Mack's closing burst helps him finish big plays. Khalil Mack is as you might expect from such a productive player, a technician. His skill set is extremely good, but he isn't the all around athlete that you get with Anthony Barr. Barr has outstanding change of direction skills. His ability to quickly transition from a forward to a lateral movement is stunning. Mack is capable of aligning out in space and jamming a slot receiver, he is able to stand up on the edge and either rush the passer or set the edge. His hand placement is very good. He sheds blockers well by keeping them away from his body and using his hands. Mack has great instincts, he has an understanding of what offenses are trying to do and capitalizes on one on one opportunities to make plays that he shouldn't make. Mack is relentless, he has a motor that runs nonstop and a startling closing burst...the distance between him and the ball carrier disappears very quickly. If you're keeping score at home, these have been glowing reviews on both players thus far. I wanted to outline their overwhelming set of pros before I begin with the cons. Each of these two players has two question marks for me...but one has more pressing issues than the other. Mack has 2 deficiencies when being compared to Barr. Mack is not as flexible as Barr, meaning when it comes time to bend the edge on a pass rush track or to flip open those hips in a pass drop, Barr moves better than Mack in both of these scenarios. Mack is still sufficient in his pass drops, but when you compare the two prospects, Barr gains an edge in flexibility. Mack also does not possess the explosion off the snap of the football that you see in Anthony Barr. Mack has a GOOD first step, so again his disadvantage is not great, but it does exist. Barr accelerates out of a two point stance and gets penetration up field easier than Mack, and as an edge pressure player, that can be hard to ignore. But Barr himself has 2 deficiencies when being compared to Mack as well. Despite his advantage in his first step, Barr is at a disadvantage when you compare the two in pass rushing techniques. Neither one of them has a wide array of moves at their disposal (which is why Mack was rated 'good' and Barr was rated 'average'). But unless Anthony Barr gets a free track to the Quarterback, he gets himself into trouble. He shows the ability to duck the inside shoulder, lean for leverage and run the outside track. But he doesn't trust his quickness to take advantage and he will engage the blockers. Once he does, he has no moves to win the battle beyond that point. He will engage, maintain his separation and essentially wait for the QB to be flushed before disengaging. There is very little in the way of rips, swims, spins, stuns, lifts, swats...anything. Mack showed in the 4 games I've watched of him this year the ability to rip and swim while making his target smaller by leaning his shoulder, taking away his ribs and chest. Again, neither player is a refined pass rusher and Barr has a better first step for a speed rush, but technically speaking, Barr is at a disadvantage here. Barr's other disadvantage is his motor. I have seen Barr play slow behind the play. If the run is away, he'll casually jog behind the play. If the players are in a scrum, I've watched Barr stand and watch. But motor goes both ways...I've watched Barr play with the motor running too high as well. Comes flying in on plays and fails to break down, allowing himself to be shaken and miss a big play. Taylor Martinez shook Barr out of at least 2 sacks this year against Nebraska because Barr came flying into the backfield without breaking down. His motor runs hot and cold...sometimes too much, sometimes not enough, sometimes just right. That kind of inconsistency needs to be cleaned up. So physically, Anthony Barr has the tools to be a big time professional football player, but at this point, I have him graded as an 8.42 (First Round) talent score. His weaknesses include his consistency in his play effort and fundamentals and his lack of pass rush moves to combat offensive tackles. Khalil Mack has a little less to work with physically, but is much more technically refined and still has elite feet/change of direction skills. Because of this, I have him graded over Anthony Barr with an 8.55 (Top 10) talent score. His weaknesses include his good but not elite first step and his good, but not elite flexibility. These are two players I expect to both be taken in the top half of the first round, and they are both talented enough to produce out of 4-3 or 3-4 defensive fronts. If I was a GM, I'd just keep my fingers crossed I get to choose. As passing offenses have evolved over the last 10 years, the expectation for having a Tony Gonzalez type of receiving weapon has gone from being a rarity and a special exception to something every team wants and expects out of their offense. The threat of an athletic player with great size who can work the middle of the field and press the safeties up the seam is vital to gaining favorable match ups for an offense's other skill players. This year's draft class features two big time Tight End prospects, North Carolina's Eric Ebron and Texas Tech's Jace Amaro. Both of these players are quality pro prospects and bring the receiving skills to the position that you want to see from a high round TE player. But of course the question has to be asked...is one better than the other? In my eyes, the answer is yes. Eric Ebron is essentially a 6'4, 245 pound wide receiver. His receiving skills and hands are phenomenal. He runs very good routes, I've watched 3 games from 2013 and another from 2012 and have seen him run almost the full route tree. He has good breaks for a player of his size and as you can see above, has soft hands to make all kinds of quality catches. He spends much of his time split into the slot from a two point stance, but does show the ability to play inline and get a clean release off the ball and into his routes. Ebron has outstanding speed, as illustrated above by the separation he's created against his defender. This was a simple seam route between the hashes. That kind of gap between a receiver and a defender can only be accomplished through a busted coverage, a great break or great speed. Ebron from a blocking aspect is willing. He makes some nice blocks, but obviously with a player of this nature it isn't going to be his greatest strength. We'll cover more of his weaknesses after taking some time to discuss the strengths of Jace Amaro. As good as Eric Ebron is at running routes, Jace Amaro matches him every step of the way. They each attack the defense in their own unique ways however. Amaro's route tree is a little less expansive, but he actually does a better job of selling the routes that he does run, the finer points. Each was graded as 'great' route runners, not good but not perfect. Amaro has a great understanding of sitting down in zones. He will slide or cut into a vacated area behind a clearing route, showing great instincts and intelligence. Amaro has really strong hands himself, catching the ball away from his body as a natural receiver. Amaro does a nice job working the middle of the field, he runs a delay/stalk route up the seam where he sells a stalk block on a linebacker before bursting beyond to get behind the second level. Amaro runs well and is capable of creating yards after the catch. Like Ebron, he is a willing blocker, effort is great and not the issue. So thus far, these two guys sound pretty similar and that's because they are. They win match ups in a lot of the same ways. But there is separation between the two players. Let's start with what Amaro does better than Ebron: Amaro as a blocker has better power at the point of attack. He gets good movement, but more importantly when he's fit in his block he's got a wider base, and that extends into the other thing he has over Ebron, which is balance. Amaro has outstanding body control and balance both in the blocking game and in the receiving game. Amaro will go across the middle for passes and still manage to contort himself to avoid a blocker with minimal time to adjust. Ebron as a blocker has his feet closer together, which causes defenders to be able to spin or slide off without Eric being able to mirror quickly enough to maintain the block. As far as Ebron advantages, it starts with with quickness and YAC ability. Both are connected to one another, as Ebron is a more dynamic athlete. He attacks down field with greater success and consistency. After the catch, Ebron has a great ability to make a man miss. Both of these things will lead to more chunk yardage plays. The biggest discrepancy between the two players lies right there in Yards After Catch. Ebron has the speed and the quickness to capitalize on a one on one coverage. Jace Amaro, on the other hand, has good quickness but lacks the kind of long end speed to be a TRUE seam buster and big play Tight End. He still has the route running acumen to ensure he will create separation and is crafty enough vs. zone coverage that getting open will not be an issue, but after the ball is in their hands, Ebron's athleticism, quickness and long speed is the one thing in my eyes that truly separates the two prospects. So where do they grade? Both of these players in my evaluation are 1st round quality prospects, but I score Eric Ebron as an 8.30, First Round grade and Jace Amaro as an 8.01, First Round grade. Two new age receiving Tight Ends...but only one can go first. If things go the way I see it, Eric Ebron will hear his name called first. That is of course assuming they both declare. How would you compare Ebron and Amaro to last years big 2? Both are better than everyone in last year's class in my opinion. Amaro is comparable value to Eifert without the downfield jump ball ability. I love Ebron YAC ability. I think the fact that Ebron is a decent blocker at this young stage and is willing one, that he will be better then average at it in the pro's. Him playing numerous snaps at DE during his career means he isn't a stranger to inline battling. I must admit I just recently started paying attention to Amaro a little more and like what I see. As for the linebackers give me CJ Mosely he is so athletic and scheme diversed that way I know if we keep changing coaches and schemes we cant mess that one up. Can we draft a GM? Yesterday, Mel Kiper Jr. participated in a conference call and from everything I heard (I did not have an opportunity to participate) had a very productive and insightful segment. He made a number of comments, ranging from Mariota and Hundley's benefit of returning in 2014 to the athletic ability of Ra'Shede Hageman to the stock of Mike Evans which I vehemently agreed with. However, one comment that got a lot of press is one I can't envision in any way, shape or form. Kiper suggested when discussing offensive tackles that there has the potential to be seven left tackles taken in the first round. The names mentioned by Kiper included: Texas A&M T Jake Matthews, Iowa T Brandon Scherff, Auburn T Greg Robinson, Michigan T Taylor Lewan, Tennessee T Antonio Richardson, Alabama T Cyrus Kouandjio, Florida State T Cameron Erving and North Carolina T James Hurst. Keep in mind, this list doesn't even include fellow Aggie T Cedric Ogbuehi, who has gotten a lot of buzz as a potential first round pick as well. Nine...NINE offensive tackles. How many of them do I see ultimately suited for the first round? Six. How many of those six do I see being in this year's class? Four. I'll give you my current vibes on all nine, right here, right now. Jake Matthews is head and shoulders above every other offensive tackle in this class. Matthews has incredible technique, impressive quickness with his feet, has good agility in his pass set, showed the ability to go from either side of line (but with such a refined player, he will step in and be a starting left tackle...and a good one...from day one). If Matthews had come out last season, I personally think that he'd have been the top player on the board, surpassing both Luke Joeckel and Eric Fisher. He is that good. Without a shadow of a doubt he will be a top 10 selection. Taylor Lewan was penciled in as another top 15 pick last winter, but made the decision to come back to Ann Arbor for another season. It hasn't been a resounding success. Lewan still shows the footwork and overall strength to be a first round offensive tackle, but he has been subject to more criticism this season. His shameful play vs. Michigan State saw him attempting to rip a number of helmets off and should have resulted in an ejection. However, the physical tools are still there. The technique needs refinement, particularly in his base. When driving a defender off the ball, Lewan has a very narrow base, which allows defenders to slide off and Lewan can't mirror with effectiveness. Sustaining his blocks needs to improve. He also needs to work on face guarding his pass rushers in his pass set. When he engages in his kick slide, too often he stays square to the LOS instead of square to his rusher. This makes him susceptible to getting beaten by a good inside move or someone who is a good hand battler. Ultimate prediction is he is still a top 20 selection. Scherff is admittedly a guy I have only seen limited amounts of. But from everything I've seen, I see a T who moves better than recent first round selections at the position from Iowa, Bryan Bulaga and Riley Reiff. Scherff moves VERY well in space, so much so I thought he was a pulling guard a number of times with the way he was finishing his blocks down field. He's a guy I need to spend time looking at, but the junior leaves little reason to doubt with what I have seen. I think he'll end up coming out, with not much holding him to the Hawkeyes next season. Cameron Erving put me on notice during the Florida State/Clemson match up earlier this season and I watched him closely for the Miami game. For only being in his second season at OT, Erving has an incredible skill set to work with. Yes, his feet are a bit heavy in his kick slide. Yes, the balance and over extension needs refinement. But watching him move in space more and more, I'm convinced this is more than just a future road grading right tackle. Erving was so good, he kept fellow T Menelik Watson at RT last season, and Watson was a guy I really liked. This one is based more on projection, but Erving is a physical specimen with the movement skills to be successful on the left side with more coaching and refinement. Let me preface my blurb here by saying that James Hurst is a good football player. He has good, quick feet, enabling him to move very smoothly and mirror pass rush defenders. He's a good athlete...but that does come with a cost. I'm not certain he has the strength or anchor to be effective within his first season or two, which costs him in my evaluation. I do not have a talent score for ANY of the tackles at this point but this is strictly going off the eye ball test. I don't see first round talent for James Hurst. He has the potential to be good and his play style reminds me of Justin Pugh's. I just don't see him, with the rest of the depth in the class overall, as a first round player. A left tackle at Tennessee, Richardson has had a lot of success playing for the blind side for the Volunteers. He and Cyrus Kouandjio are two of the tackles I've spent the most time looking at, and in comparing notes, I get a lot of the same comments arising. "Good push", "Needs to keep feet", "Powerful punch" are common themes I draw out of film. Richardson has better feet than Kouandjio, and I think Richardson COULD play Left Tackle...but I still think he's better suited as the 'new age' Right Tackle of the NFL. Huge, powerful and not a liability in pass protection at any means, but his run blocking is his strength. Physically, Kouandjio is massive. He's got the heaviest feet out of the seven mentioned tackles to this point, so he compensates with great length and great power. I simply don't see first round movement skills, first round technique or first round athleticism with Kouandjio. That doesn't mean he can't be very successful in the NFL, I just wouldn't entrust him with the blind side. Quite the pedigree the Aggies are developing for Offensive Tackles. I think Ogbuehi would stand to significantly increase his stock by filling the role of Jake Matthews next season on the left side and using that season as a chance to answer questions about his ability to play the blind side. A guy I have admitted only seen clips of, Robinson is a guy I just can't picture declaring this year. If he does, I will be sure to thoroughly look him over to see the things that gave Mel Kiper Jr. such high praise on him. I personally see 4 left tackles in this class. But assuming a team wants to make a play for Richardson on the left side, I could justify and be alright with 5. Any tackles that are taken beyond that point I believe are reaching for need and would not be getting value out of their selections. So sure, it is certainly within the realm of possibility that we see 7 or 8 offensive tackles go in the first 32 selections...but that doesn't mean we should. Few athletes have been gifted nicknames more ironic than Volunteers Left Tackle Antonio “Tiny” Richardson. Richardson is an absolute monstrous presence at 6’6 and a listed 327 pounds. The man they call Tiny has now started 22 consecutive games at Left Tackle for the Tennessee offense, he was so good as a pure sophomore that he bumped senior incumbent Dallas Thomas inside to Guard. But while Richardson undoubtedly looks the part, the question needs to be asked: Does he PLAY the part? Before I can answer that question, we need to take a moment to explore what sort of system I use to evaluate offensive tackles. All prospects are graded in five categories according to my grading methodology: Talent, Production, Size, Athleticism and Leadership. Size and Athleticism are measured using the official numbers taken at the combine. Production and Leadership are quantified after the season is finished. So what we are left with is talent, which is what you see on film. Talent scores make up 60% of an Offensive Tackle’s overall draft grade, so getting a solid grade in the film department is essential to receiving a high overall score. As you can see, I place a premium on pass protection footwork and length/extension. With NFL offenses being so highly geared towards the passing game, it is more important than ever that high end Tackles coming into the draft show the ability to kick slide and get depth off the line of scrimmage, post up on the inside foot and open up to face their edge rushers. Once they’ve established their post foot, it’s essential that they use their length to prevent edge rushers from bending the track around them tightly enough to pressure the quarterback. Offensive Tackle prospects are graded on each of these 10 skills accordingly, after which they are added and converted into an overall score, a perfect score being a 9.0. Overall, Richardson scores a 22.6 out of a possible 25 points. Following the grading formula (Score / Possible) * 9, Richardson’s talent score equates as such: ( 22.6 / 25 ) * 9 = 8.14. An 8.14 talent score equates to a First Round Grade. Richardson would be a good addition to any offensive line, because his run blocking is so strong. As a matter of fact, I think he’d be best suited with his strengths on the right, but he can also be a good Left Tackle for a team going forward as well. If Ireland is still calling the shots, assuming the Oline prospect's mother is not a working women, we will draft oline regardless of skills set, play ability or cost. There...I said it. I've been thinking it for the last 2 weeks or so, but I wanted to do my due diligence and get talent scores available for the other 1st round caliber offensive tackles. And now that I have, I'm fully comfortable coming out and saying that Gabe Jackson is the 2nd best offensive lineman slated to be in the draft in 2014, behind only Texas A&M stalwart Jake Matthews. So why do I make this declaration? It comes down to natural talent and functional ability with that talent. Gabe Jackson is listed as 6'3, 340 lbs. It's quite ironic...the only other interior player who can match his athleticism is the other Guard who is listed at 340 lbs, Baylor's Cyril Richardson. The comparison my mind draws me to is a less athletic Jonathan Cooper. Gabe Jackson, despite the fact that interior offensive line is less of an impact position when compared to OT, has more value and better skills/talent than anyone not named Jake Matthews. He's better than David Yankey and Cyril Richardson, he's better than Taylor Lewan and Cameron Erving, he's better than Antonio Richardson and Cyrus Kouandjio. Let me explain why. Jackson gets better movement, sustains blocks longer and more effectively, breaks down to make blocks on 2nd level defenders, he's agile laterally and when he's pulling. He's got really light feet and a really heavy anchor. He's got a good looking punch to stun interior defenders. He does EVERYTHING. The other players I've mentioned...they do some of those things. A few of them do MOST of those things. But none of them do ALL of those things like Gabe Jackson. The glaring mark on my evaluation of Gabe Jackson is his balance, as he can get yanked off his set. But I've watched Gabe crush a down block on a DT. I've watched Gabe pull and get out in front and blow up a linebacker or kick out a defensive end. I've watched Gabe pick up stunts and blitzes. He's smoother than you'd expect, but he hits just as hard. Overall, Gabe Jackson has received an 8.28 talent score...that places him as the 2nd rated offensive lineman (behind Matthews' 8.78 score) on my board, higher than Antonio Richardson, Kouandjio, Lewan, Cyril Richardson, David Yankey, Cameron Erving, James Hurst. I encourage you all to go back and take a look, because regardless of whether he lines up on the inside or the outside, the talent is undeniable. Gabe Jackson IS the 2nd best offensive lineman in the class.